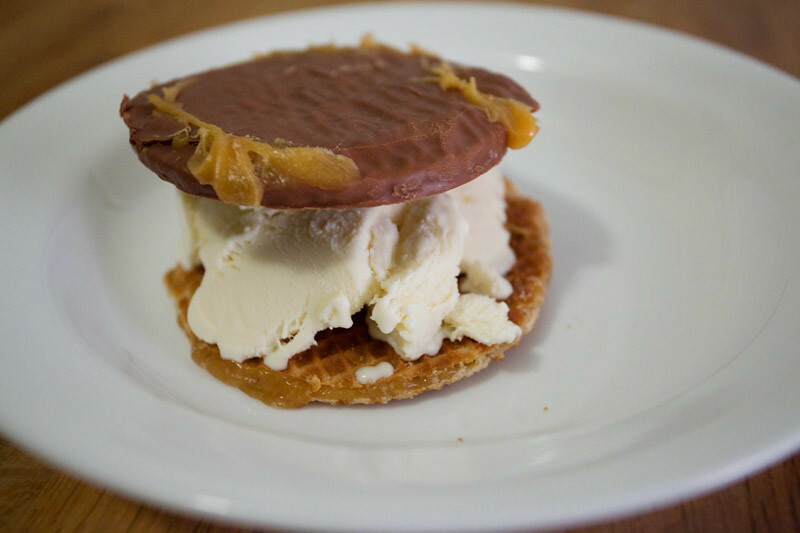 I was hoping to make an ice cream sandwich with CHOCOLATE COVERED STROOPWAFELS! but alas it didn’t happen. I only had 1 chocolate covered stroopwafel left so instead I used a regular old plain stroopwafel. It looked and tasted pretty good but it was so difficult to eat. The caramel in the plain stroopwafel harden from the ice cream which made it very tough to bite. But the chocolate one was fantastic since the chocolate shielded the stroopwafel from the ice cream.